This power supply is part of a power distribution system that was designed to operate a shipboard satellite communication suite. It monitors and reports status on a variety of fault conditions like output over voltage, output under voltage, and output over current. 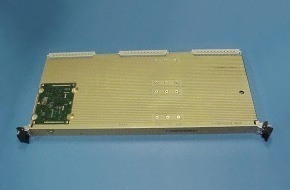 The +5 VDC and 3.3 VDC track each other within 0.5 VDC.